Marcy, Rocawear, and his executive mind. Respect is due to Mr. Shawn Corey Carter. He collaborated and almost single handedly built the RocaWear Brand, by using a business model that made everyone feel like family. Wearing the brand is really only an after thought when you consider how he possed up the RocaWear Clan and the diversity of creativity to give everyone at shot a making it big. All of the RocaWear Stars are the reason everyone is still throwing up the Roc Sign. Make no mistake about it people. It's still all family! Who does not want to jump on the bandwagon and ride his coattail? No one if their smart. His name alone equals dollar signs. Take a look at Jay Hove. First commercial? Yeah right. The hit song Change Clothes made everyone look at Jay-Z in a whole new way. Topping his style or at least getting on his level is what everyone is still trying to do. Dressing the part for Shawn Carter is only half of his street. He's the example of executive cool, a level even Russell Simmons has not been able to match. Who you know that can suit it up on a regular and then stomp his sneakers on to rep for the hood like art form? Pay close attention people! Jay-Z's life and music are his biggest commercial. Putting in the work to make sure everyone knows his name and how much he still loves RocaWear is an extension of his master plan. He's the Rapper with the "Blueprint" remember? From Marcy to Barclay okay. To say that the clothing line called RocaWear has a presence is a real understatement. RocaWear is a brand that represents the urban rise from broke to rich, a true humble climb of social class. 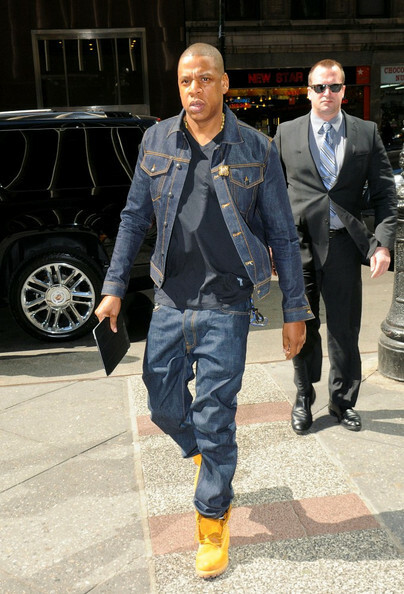 Mr. Shawn Carter and Team RocaWear Abornewords salutes you. Surprised? What else can you expect from the guy who told you in song "I'm a businessman" Jay-Z's monopoly continues to grow. What an accomplishment. Check your cable guides for the specifics on the Marcy to Barclay coverage. It runs today, so don't miss what's hot!